I hope you all had a wonderful weekend! 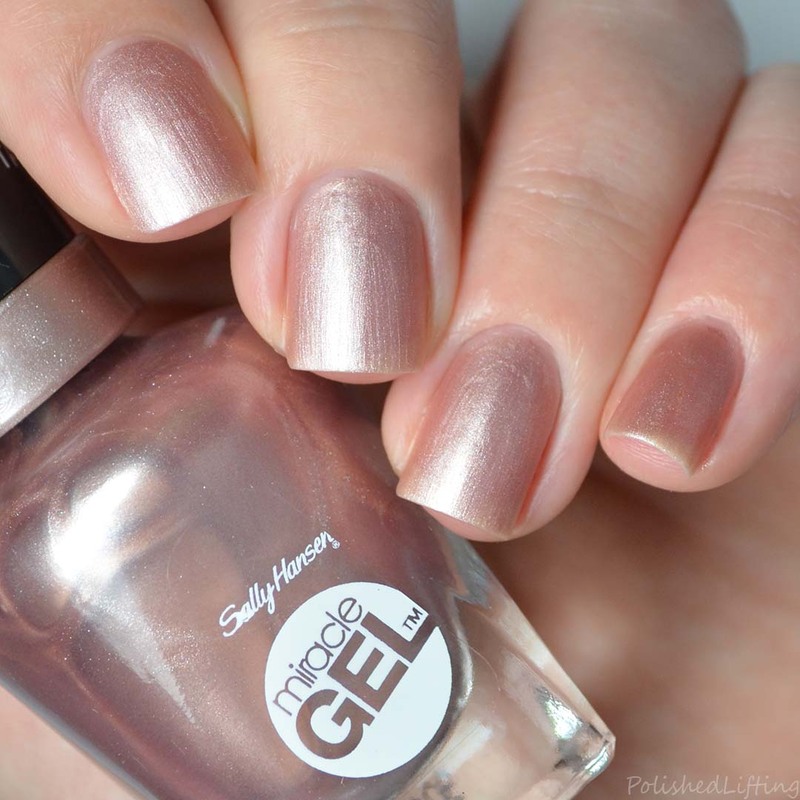 I have another brand new Sally Hansen line to share with you today. 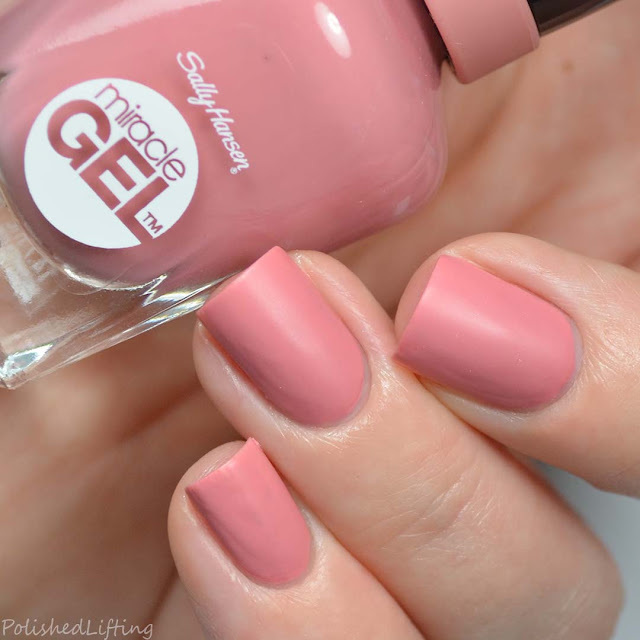 This time we are going to explore the Miracle Gel system and their Matte Top Coat. This is not a true gel in the sense that you don't need a uv or led light to cure the polish. I think the idea is that these wear as well as gel. I never have time to do wear testing (and it's highly subjective) so I won't comment on how they wear because it's useless data. Notes: This is quite pretty glossy, but I do love Beet, Pray, Love with the matte top coat. It just gives it that special something. Notes: Please tell me you all love these puns as much as I do! Apollo You Anywhere is simply delightful. It's one of those colors that's just so cheerful and I really appreciate that. Notes: Can't Beet Royalty really needed a third coat of polish. Two coats is what Sally Hansen recommends so that's what I did for the swatches but I think a third coat of color would even this out nicely. Notes: Mauve-olous does look a bit uneven. This is entirely my fault for not working quickly while applying the second coat. These dry at a fairly rapid rate so it's important to not mess around. I attempted to even things out instead of letting this self level, so that's what I get. 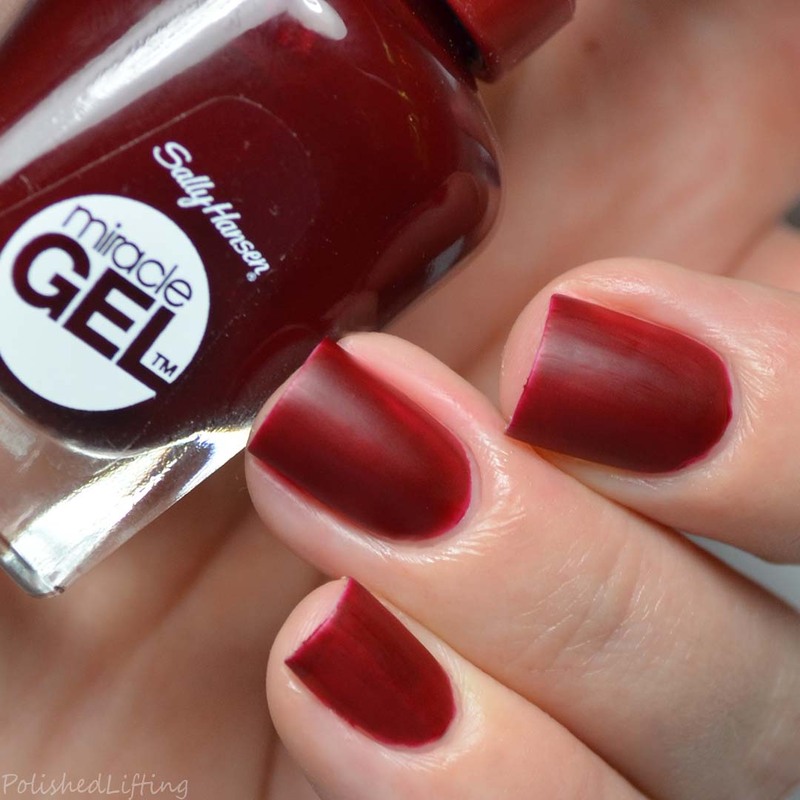 The matte top coat does not even out lumpy areas so if you find yourself in this predicament it's best to just add a third coat of polish once the second one dries. Notes: I'm not terribly fond of frosty colors so Out Of This Pearl is not really my deal. I will say that the matte top coat really helps smooth out the streaks so I do appreciate that aspect. Notes: Wine Stock was a huge favorite of mine. It has a great application and doesn't stain during removal. 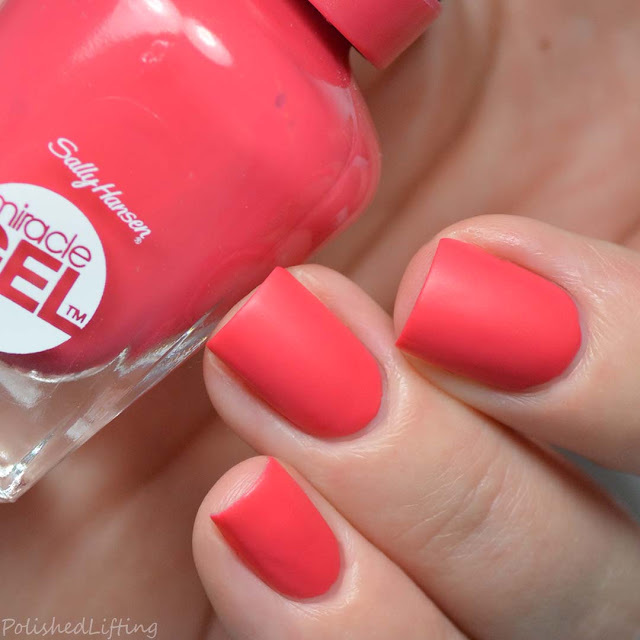 I think it's just perfect with the matte top coat! 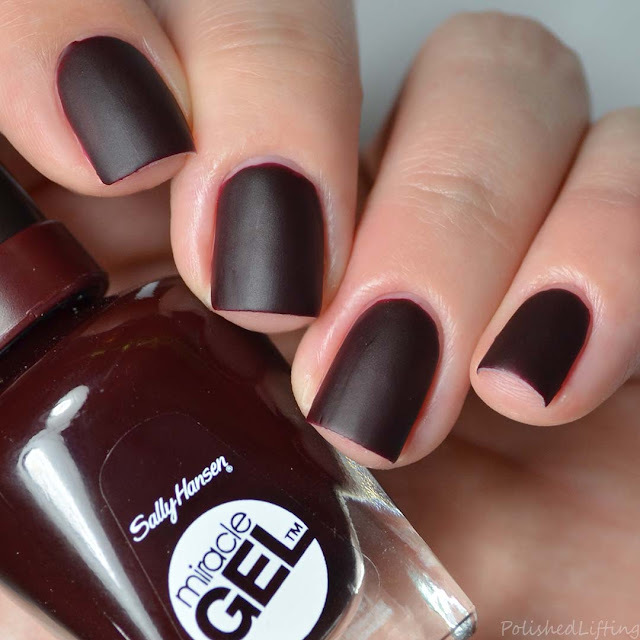 Sally Hansen Miracle Gel and the Matte Top Coat are currently available at select retailers. Prices vary but as of writing this I am currently seeing them listed for $5.99 per bottle online at Target. 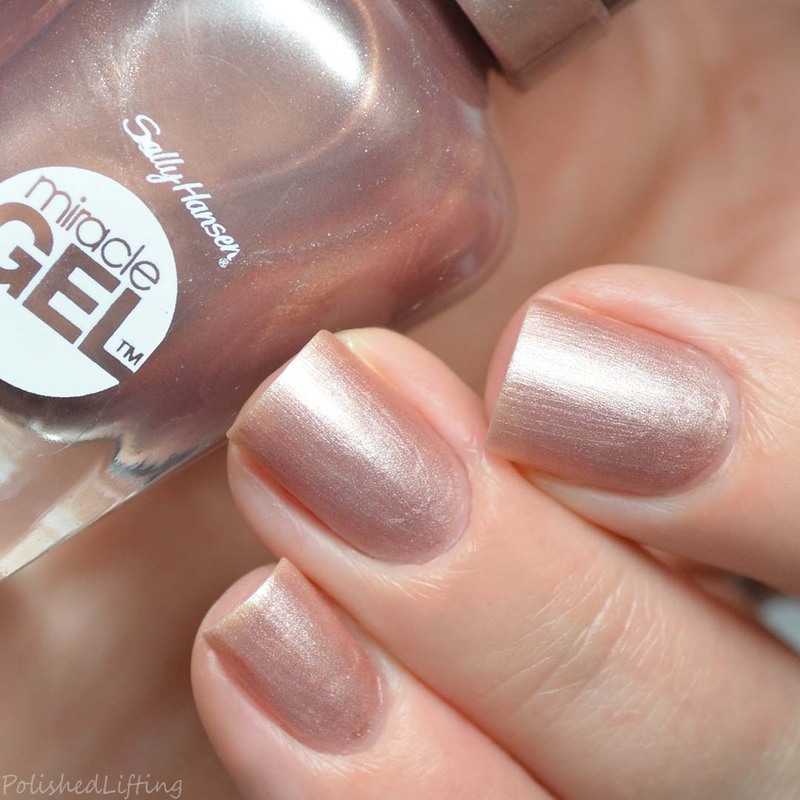 If you enjoyed this post you might like Sally Hansen Mega Strength Swatches & Review and Sally Hansen Pearl Crush Review.